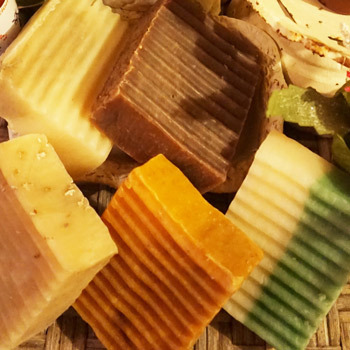 If you want a healthy body then goat milk soap is the nutritional soap that feeds your body moisturizer. Goat milk is rich in alpha-hydroxy acids, vitamins A, C & E, amino and citric acids, unsaturated fatty acids and Zinc. Made from happy goats!